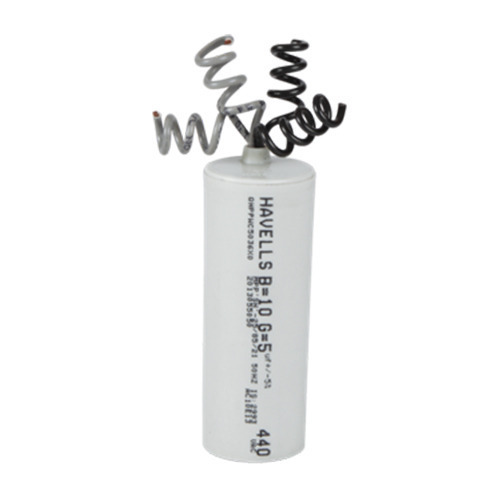 Our firm is providing an extensive series of Washing Machine Dual Capacitors. We offer these products at nominal costs to our patrons. Established in the year 1996, Rajdhani Bearing Center has gained an admirable position in trading, Distributing, Wholesaling and supplying of Industrial Capacitors, Monoblock Pumps, Industrial Bearings, Automatic Power Factor Correction System, Power Factor Controller Relay and many more products. These products are enormously admired owing to their longer life, top performance, low maintenance and effortless operations. Our presented products are developed employing the industry allowed material and advanced technology. In addition, in order to provide the best quality products, these are examined on diverse quality standards employing advanced technology. Furthermore, our firm has allied with knowledgeable vendors who give full effort to make these products as per industry parameters. Moreover, our vendors follow universal industry standards in the engineering of our products. Moreover, our vendors have advanced development unit, which is established with progressive machines and tools.